Sage Green Fleshout Leather. 1000 Denier Cordura Nylon. 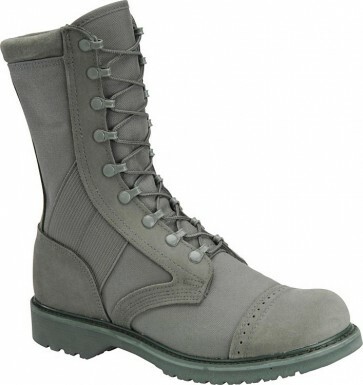 Garrison Army Munson Last for Superior Fit. Webbing Reinforcement for Ankle Support. Extra-Firm Heavy-Duty Military Counters and Box Toes. Speed Lace System. Exclusive Dryz Powered by X-Static Insert. Fiberglass Shank. Exclusive Falcon Comfort System, Oil-Resistant, Non-Marking Oustole.